Research shows that £28bn is lost to the economy each year due to poor customer service. Consumers are turning to social before any other channel to get their questions answered, so it's important for you and your organisation to be prepared. At CrowdControlHQ, our mission is to help organisations like yours build more valuable relationships on social media. 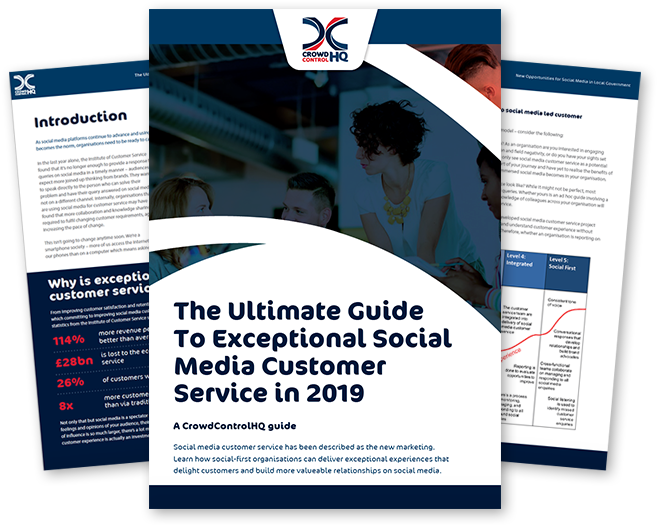 So we created this guide to highlight how social-first organisations can deliver exceptional experiences that delight customers and nurture genuine two-way relationships. Whether you're at the very beginning of your social media customer care journey, or you're already seeing results, social must be at the heart of your customers' experience.